This is the prophetic word for December 2018. This word covers the end of Hebraic month of Kislev which ends on December 8th, Hannukah which starts on December 2nd and the month of Tevet which begins sundown December 8th. Hannukah goes from one month to the next. I want to focus on the month of Kislev first as it relates to dreams. When these prophetic words are written they are not giving you the entire meaning of each Hebraic month. There’s so much involved with each month that I could do a mini book on each andd it would be a lot to digest in one blog post. Instead, God highlights to me one or two aspects of the month and that is what I speak on. God has been speaking to me now on remembering the dream and not giving up on our dreams. I am feeling the complete weariness of the body of Christ in waiting on the promises of God. It has been long coming and there is definitely resistance in the realm of the spirit against what you are waiting on. I know some of you have already begun to see some breakthrough. BUT, believe me that is only the tip of the iceberg. There is so much more to come so don’t take your eyes off your full promise. I want you to take all the prophetic words, dreams, visions and things that that Lord has shown to you that is now ready to come to pass and reread them so you can remind yourself of the promise. You need to be sure that you are in the season for the fulfillment of this. Please read this about timing of the prophetic word. In the waiting there is so much that is happening to you and for you. You are being pruned. Made ready for the fulfillment. John 15:2 “He cuts off every branch of mine that doesn’t produce fruit, and he prunes the branches that do bear fruit so they will produce even more.” You are stepping into your year of Fruitfulness. God is also testing your resolved, do you really believe? Kislev is the month of dreams. In the Torah (first 5 books of the bible) there are ten dreams. Jacob has two dreams, Joseph has two, Laban has one, Pharoah has two, and then the chief steward has one and the baker has one (which Joseph interpreted in prison) and Abimelech has one. In the Torah readings 9 of the 10 dreams are read in the month of Kislev. Kislev means trust, hope, security. The Lord is saying to you that you need to have trust, hope and security in His ability to fulfill your dreams. Why am I telling you this at the end of Kislev? Because you’re at the place of fulfillment for your dreams, you’re not looking for new dream, you already have one. Right? If you’re on our mailing list you already know that you need to stand in your position, we sent that email to you in November. So we set our hope on God for ourselves, not relying on the hope of our mother and father or our grandparents. It is each generations responsibility to do this. Notice it also says, not forgetting His glorious miracles. That means He is going to perform miracles for YOU. Not the miracles of your mother and father and grandparents, but yours!! And it is your responsibility to walk in His commands, which basically means..obey Him. There was no prophetic word written for the month of November because I didn’t feel the unction of the Holy Spirit to write one. 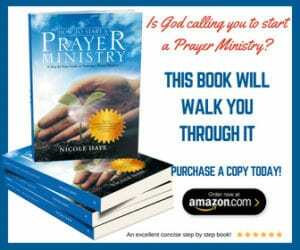 God had me focus on Mantles and Anointings and then the Joseph Anointing. Well it turns out that November is the dreamers month, 5 of the 10 dreams from the Torah had to do with Joseph. He either had them or he interpreted them. So when I wrote about Joseph’s anointing, that was in essence the prophetic word. 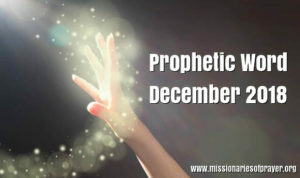 If I called it the Prophetic word for November then people looking for information on Joseph’s mantle wouldn’t read it because they would think it has to do with November. God knows what He’s doing. On a side note, I told you that I would write on the Solomon Anointing and I will at some point. However, the truth is after writing the one on Joseph, I felt zero unction from the Holy Spirit to write about Solomon. I’m going to wait until the Lord says let’s write on Solomon. So, to recap Kislev, Dreams, Hope, Trust, Security. This leads us into Hannukah, the Festival of Lights. Last December I wrote about this and you can read it here. I don’t see the need to rewrite what it all means, you can read it from last year. The bottom line is the Hannukah is a season of miracles. Miracles. Hannukah starts in Kislev and ends in Tevet. Tevet starts on December 8th and ends on January 6th. Tevet contains the letter tet which comes from the root word tov which means good! This was a part of the Prophetic word for 2019 where I talked about the year being Good. If you do a search in the bible for the word Tevet (Tebeth) it is only found in one place Esther 2:16. It’s not in all versions but if you read it in NIV, you’ll see it. This is when Esther was taken for the first time before the king. So in the month of Tevet Esther’s stepped through the door for the purpose of her life to come to pass. She stepped into her destiny in this month. Was this the month when she saved the Jews, no. But it was the month when the door opened for her to be able to do that. I’m telling you this so that you can know one thing, what you are waiting on will seem like nothing when it arrives. If you are waiting for fireworks, a big display and show it may not look like that when it arrives. For some of you it will BUT I believe for the majority it won’t. Put yourself in the story with Esther, I’m sure everyone thought “the king needs to get rid of Vashti she’s insolent, oh great he found a pretty queen from the community and everyone likes her”. That’s what people see from the outside. What they didn’t know is that she’s Jewish. Why? Because she kept her mouth shut. What they don’t know is that she’ll save an entire nation. Yes, all they saw was that she was beautiful and had favor. Here’s another “for such a time as this” moment, when Jesus was going to the cross what did the people on the outside see? A blasphemous man who would finally pay for all the things he’s been saying. That’s what they saw. And even the disciples who knew more, (He told them through parables), they still didn’t believe He was going to do die. What they didn’t know is that He would die, go Hades get the keys of sin and death (Rev 1:17-19), resurrect (not only Himself but the others locked there) into heaven. Why didn’t anyone else know this? Because He kept His mouth shut. The only person that knew was Mary, and she found out because God told her. Mary was connected to Elizabeth’s destiny and that is why God told her. The people didn’t even know Elizabeth was pregnant until after she gave birth and the baby was to be circumcised. The Lord will speak directly to the people that are connected to your destiny. You won’t need to say anything. This month your destiny opens. It may look like nothing because you’re seeing it from the outside. And, God made it that way by design so that the enemy won’t attack it. He can’t attack what he doesn’t know. He knows something BIG is coming for you. We are in a destiny making season. This is not just the typical roll over from one year to another. Legacies will be created 5779. It is just the beginning, like Esther going before the king…it will look like nothing from the outside, but what it will produce later on in the years to come is MAJOR. I see some of you just laughing and laughing and laughing because you have a vision from the inside, you already know what’s coming. You’re already holding that baby even though it has not yet manifested. I want you to make the following declaration out loud. Declaring the words associated with Kislev, Hannukah & Tevet. At the end of each word and sentence, I want you to pause (selah) and really let it sink in. This will hit your spirit. You need to read them aloud and then pause. Ready? Dreams, I believe that every dream that God has given me will be fulfilled. Hope, I put my hope fully in the Lord. Trust, I trust the Lord to bring His promise to pass in my life. Security, The enemy will NEVER be able to abort my promise because it is secure in the hands of the Lord. Miracles, I believe that God will perform miracles on my behalf to bring the promise to pass. Good, He is a good God and what He has created He declared Good. He created my promise. My promise is Good. I have been prepared and I am ready now, For Such A Time As This. Blessings! Share your comments below. This is an amazing word. My husband and I have been praying for a baby for the last 2 years and we are believing that 2019 is the year of promise for us. Please continue to keep us in prayer that my womb will be filled in 2019. What a word from the Spirit. I truly believe that this month things will happen to me that will set the trajectory of my life for the years to come. I have felt that in my spirit. So this word is precise with the unction I felt from the Holy Spirit. The teaching of mantles and Joseph Anointing has made a huge difference in my life in terms of clearing set things and bringing understand about my life. I am so touched by the comments and I thank God that I came across this Site. May God answer my prayers this month I believe it is my breakthrough and miracle month,a month my dreams are going to be fulfilled. He gave meca dream where I was in a stream of river and water was falling like a falls. Pray for me to be forgiven of all my wrongs and my father God to bless me this Month. Keep on with the Good works, God bless you. This is tremendous revelation. This is my first time visiting your site. The Lord bless you and all that concerns you. I hold on to this revealation, I believe it is a word from God that will surely come to pass. Amen. Thank you so much. Awesome post! I truly believe that we all are being positioned where God wants us , which IS where our dreams are!!! He gave us our dreams, and created us for our dreams and he is able to fulfill our dreams which just happen to be His plan!!! Praise the Lord …who knows the begginning to the end and the end to the beginning!!! Thank you for your loyalty and devotion to Him and us! God bless you!